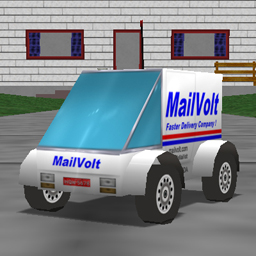 A fest and light delivery van, loosely based on the Hot Wheels' car 'Bread Boy'. The first version of this car is from 2011, but it had a very poor quality. In 2016 I gave it a remap and improved parameters and textures.